I had been waiting for a stable Android for T100 for a long time. And finally, there is a stable Android which is released by domini99 on XDA. Now, based on the domini99’s installation tutorial, I add some images in each step for the beginners. 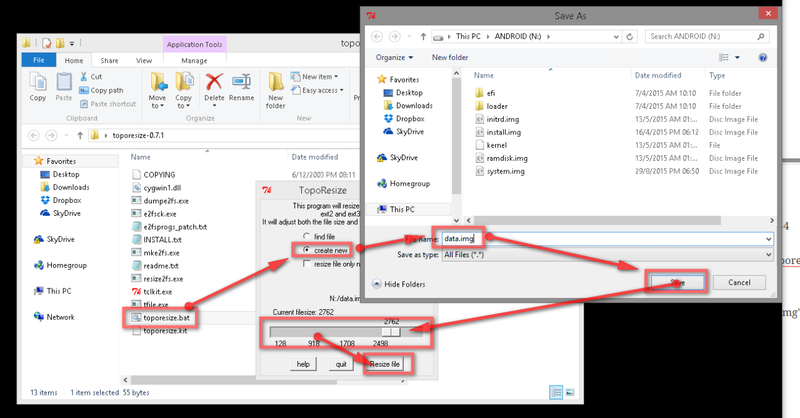 The zip contains an .apk file, place it on your SD-Card or USB Drive. 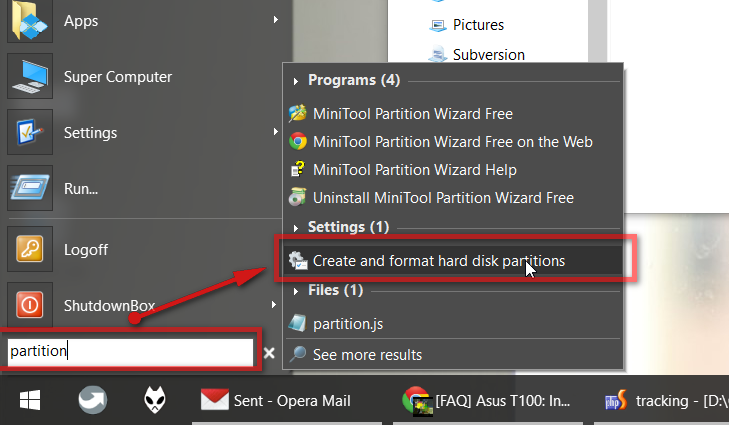 Go to “Start Menu”, type “partition” and click on “Create and format hard disk partitions”. 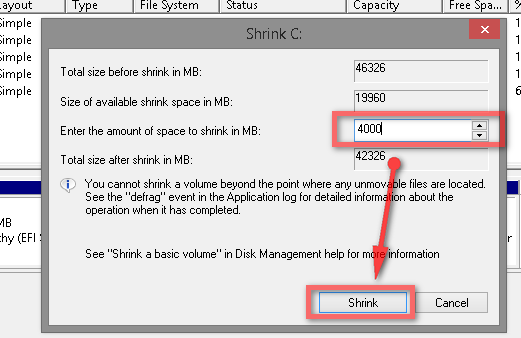 Now click on your main partition (C:), and select “Shrink Volume”. 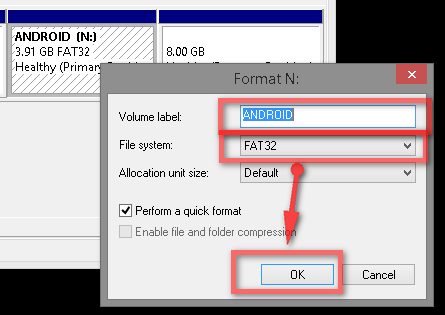 Format as FAT32 and call it anything you like. I called my partition Android. 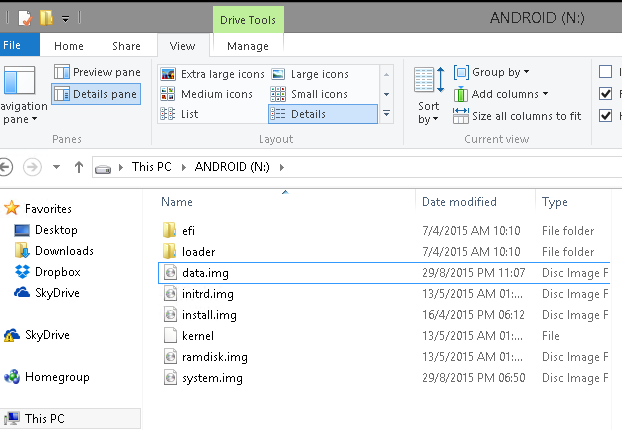 Install Android OS: What you do, is extract the .7z file you downloaded to the partition you just created, minus the .apk file. Drag the slider to the the size of the size you want the image to be. Download EasyUefi: http://www.easyuefi.com/After you have installed EasyUEFI open it. You should now see your Android boot option added to the list. Now press the power and the volume down key at the same time, and once the tablet has turned on release the power button but keep pressing down the volume down key. Wait for Android to boot. After Android has booted, connect to a wifi network. It might take a long time for the setup to get ready, please just wait. This is normal! Skip all login steps, do not login with your google account! After this is done you should be at your home screen. 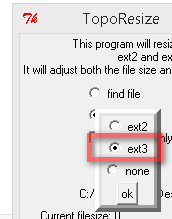 Now open Root Explorer, its is included into the image. It will ask you to confirm root permission. After this, you should see your .apk file. 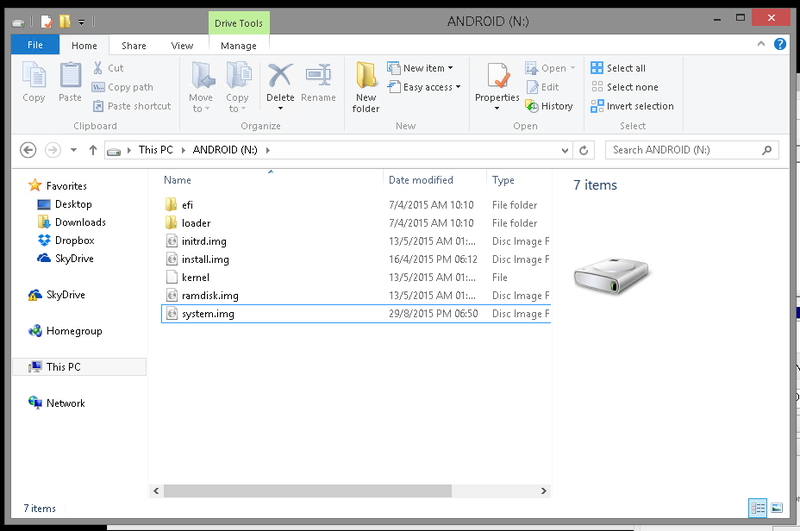 If you do not see the .apk file, try another folders like USB2, or USB1. Install the .apk file, and accept verification. 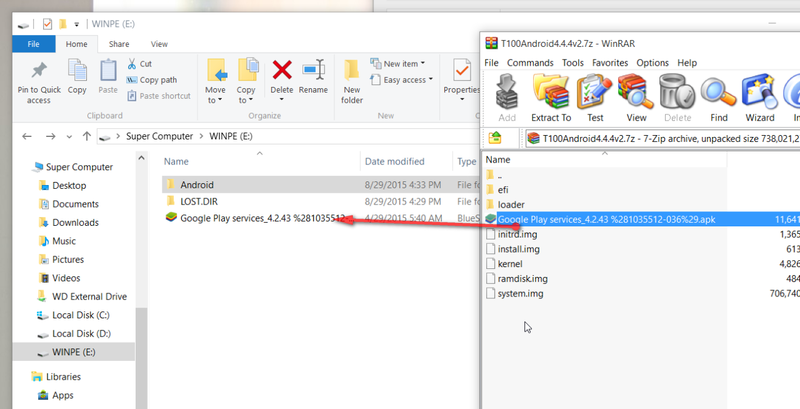 DO NOT OPEN GOOGLE PLAY SERVICES AFTER THE INSTALLATION IS DONE!!!! VERY IMPORTANT!! JUST CLICK DONE!!! Log in with your Google account. You might see a lot of force closes, just ignore them. It could take multiple tries to log in, but it should eventually work. After login is done, the screen might glitch a bit and throw you back to the settings screen. This is normal. Close any force closes that might pop up, just ignore them. They will go away by themselves after all this is done. After this is done, Google Play store should work and your tablet is operational! Previous Previous post: 用 CDN 真的加快了?